This post explains the features of the Atom Viewer tool and how to use it in conjunction with AtomCraft. 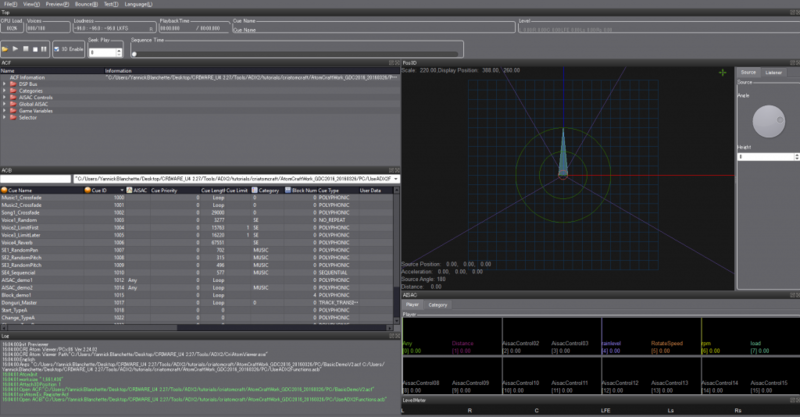 AtomCraft comes with a very useful tool called Atom Viewer. 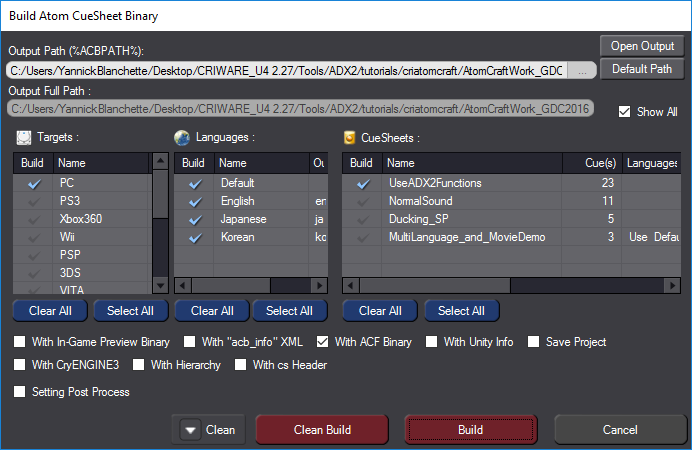 Atom Viewer can be used to check the contents of the ACB/AWB and ACF files that are generated by the AtomCraft tool when building a game audio project. 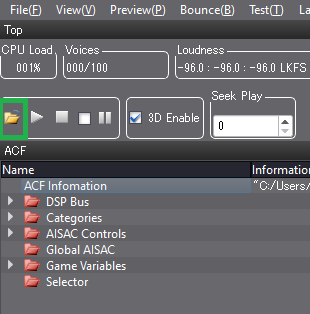 One ACB file is created for each CueSheet (sound bank). If that sound bank contains streaming assets, the streaming data will be exported in a separate AWB file. As for the ACF file, it corresponds to the project and contains all the global definitions. 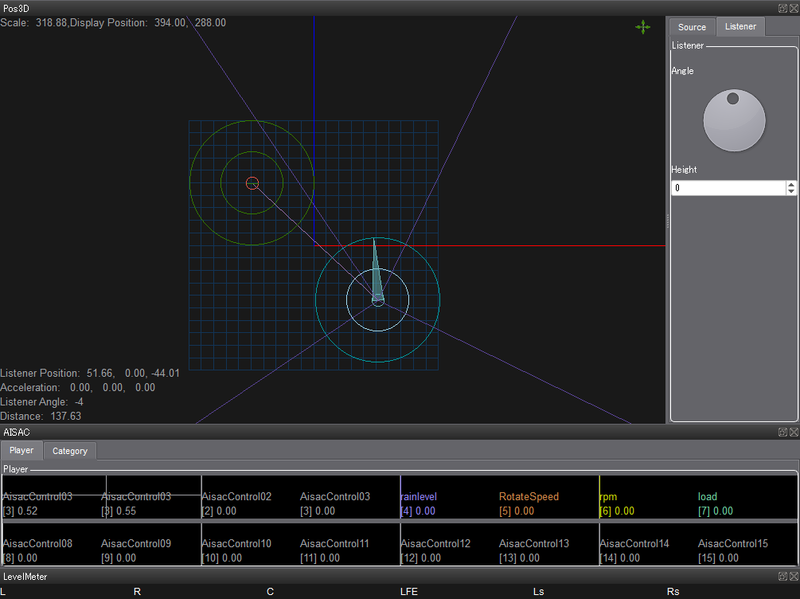 Atom Viewer also makes it easy to quickly preview Cues with 3D positioning. Atom Viewer can be accessed directly from AtomCraft or simply by double clicking on the Atom Viewer executable. 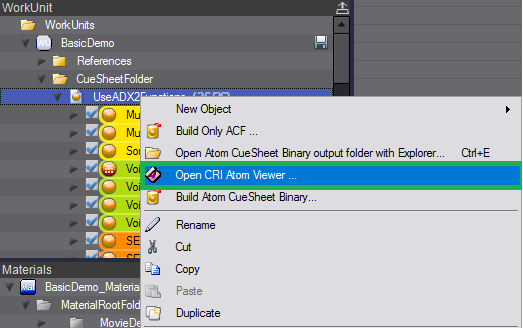 Right-click on the desired CueSheet in the Work Units section of the project tree and select Open CRI Atom Viewer. If the binary data for that CueSheet has not been built yet, a message box will appear. Simply click Ok and the “Build Atom CueSheet Binary” window will appear. Press Build to generate the binary data for the CueSheet. 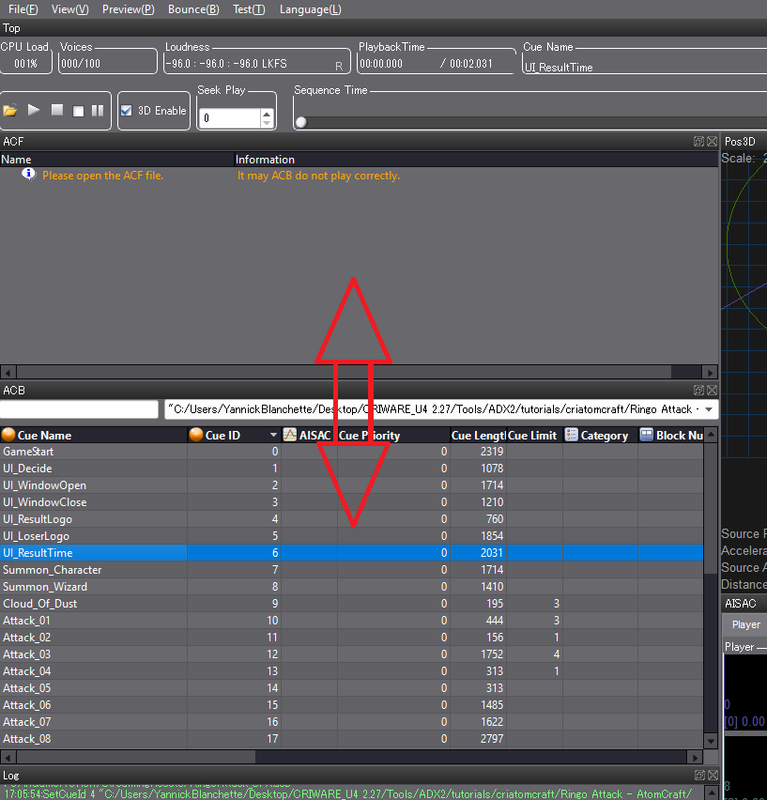 If you are not familiar with the CueSheet binary data we recommend watching this Video Tutorial. Once the build process is completed, click OK in the notification window that appears. The Atom Viewer will then be launched with your CueSheet automatically being loaded. You can also click on the folder icon in the main view to import your files. The file import window is also accessible from the file menu. 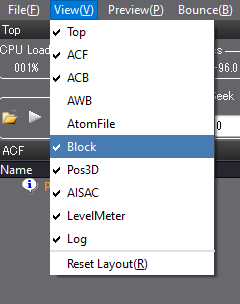 Note that it is possible to open an ACB or an AWB file only. However, in that case, the global data – which is included in the ACF – will not be accessible (E.g. 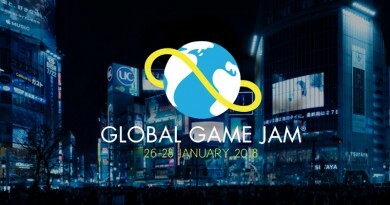 : AISACs, Categories etc…). You can customize the View settings of the main window to display exactly the information you need. Select View from the menu bar and check the items you want to see. 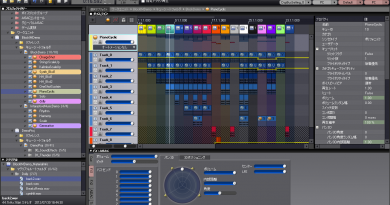 Atom Viewer allows you to listen to the audio embedded in the binary files. Therefore, you can listen to the files that have been encoded and then decoded, exactly as if they were played in the game. 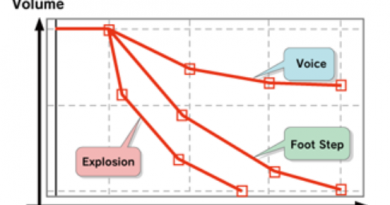 It is an easy way to quickly compare different compression settings and Codecs. To preview a Cue, double-click on it or select it and click on the play button. To change the preview settings, click on Preview in the menu bar and select Preview Settings. Another interesting feature of Atom Viewer is the option to preview audio with 3D positioning. It allows you to quickly test your distance attenuation curves and effective angles, without having to run the game on a devkit. 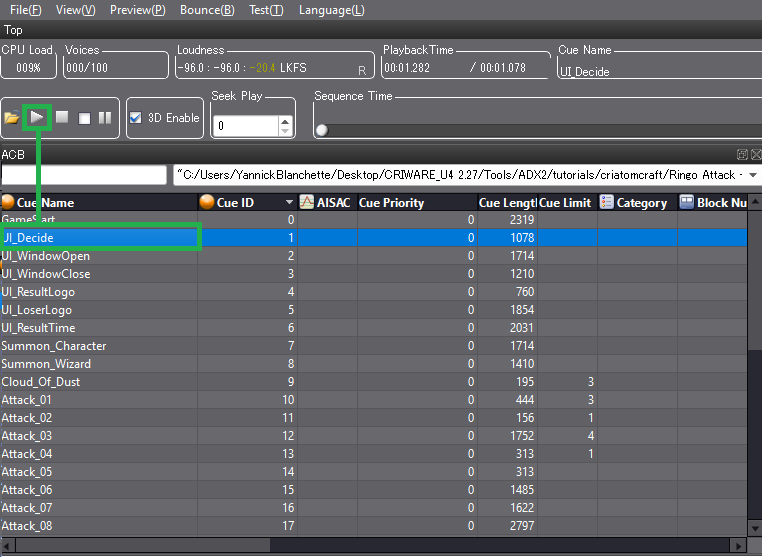 Select a Cue, check the enable 3D option and play the Cue. You can hear it with the correct distance attenuation curves and effective angles while you are adjusting them. Atom Viewer also supports preview with multiple AISACs. It is possible to control 2 AISACs simultaneously by using an X/Y pane. 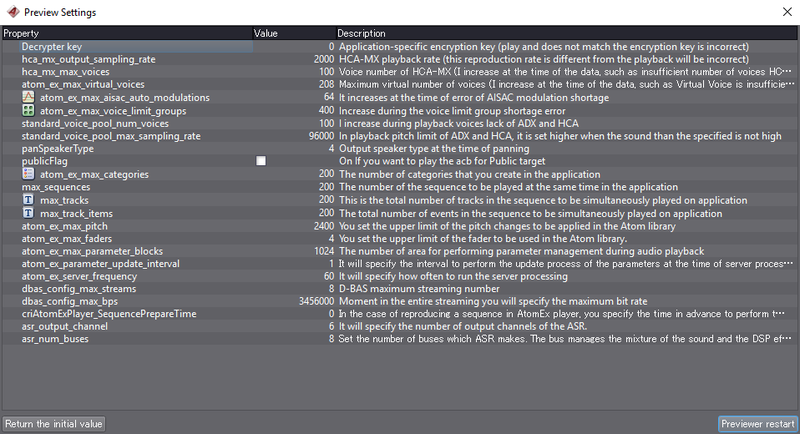 To assign the AISACs, go the AISAC pane, right-click on a Player and select Assign AISAC-Control. The Assign AISAC-Control window appears and you can assign the desired AISACs to the X and Y axes. This concludes our post about the Atom Viewer tool. 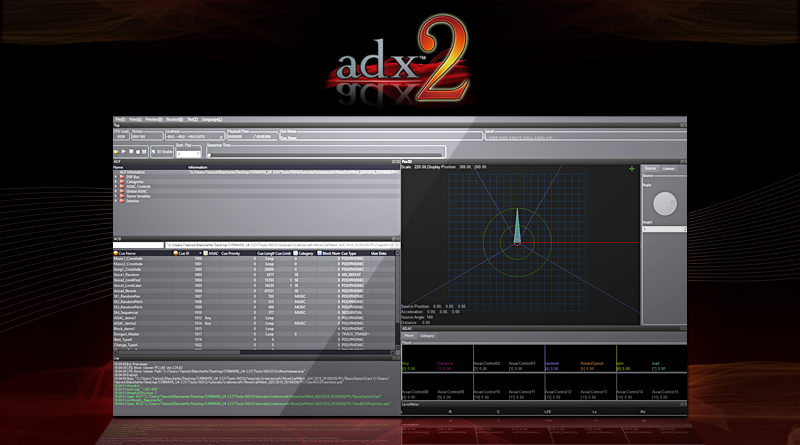 As always, let us know if you want to learn more about a specific ADX2 feature!